Welcome to Elements 108 which is proudly managed by North American Standards (Nasplaya). 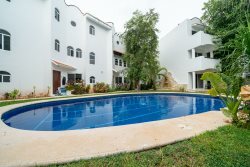 This sophisticated, upscale, pool view first floor condo is located in one of the most popular condo communities in Playa del Carmen: The Elements. Ideally situated next to the soft white sands of Coco Beach, be prepared to be dazzled by the sparking turquoise waters and caressed by the soft ocean breezes. Dine alfresco on your private terrace while appreciating relaxing views of the green gardens and pristine pool. Spend the day lounging on water beds in the pool or soaking up the sun at The Elements exclusive private beach club located right next to complex. 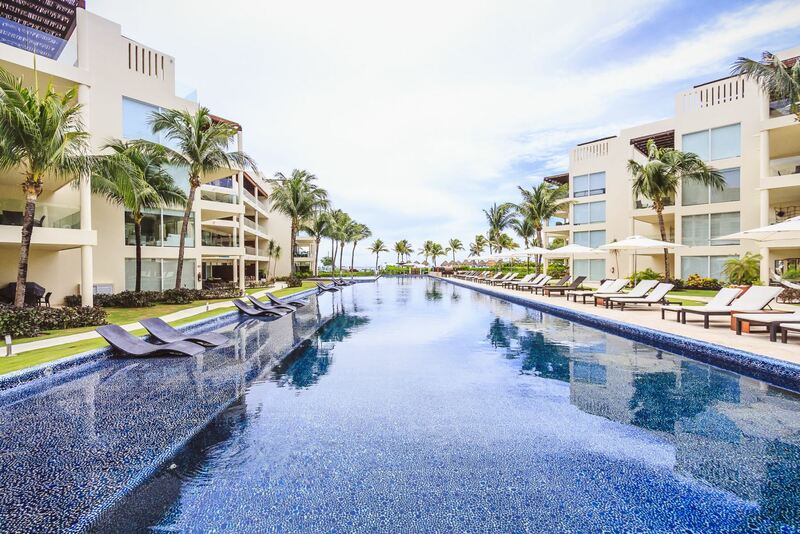 * Swim Laps in the Largest Infinity Pool in Playa del Carmen Measuring 33’ x 175’ and Reaching a Depth of 3.5’. * Large Triangular Kids Pool Measuring 45’ x 39’ x 25’ and Reaching a Depth of 1.5’.